Aria Alamalhodaei interviews Anna Feigenbaum about airborne politics, the use of tear gas as border control, and what resistance to nonlethal weapons looks like. Over Thanksgiving weekend, US Border Control deployed tear gas at the Tijuana border after a crowd attempted to cross the San Ysidro Port of Entry. For many, this marked a new and shocking low moment in the history of American border policy. While tear gas has long been the standard weapon in riot control, most visible in the United States in protests against police brutality in cities such as Cleveland, Ferguson, and New York, law enforcement activities along the border tend to be more remote, obscure, and concealed from public view. We only need to look to Europe to see the frequency with which tear gas is applied as a technology of border control. At the Greece-Macedonia border in 2016, for example, Doctors without Borders treated approximately 200 people for respiratory injuries related to chemical gas. Hungary’s far-right prime minister Viktor Orbán has overseen the deployment of tear gas, water cannons, and rubber bullets at the Hungarian-Serbian border, as part of his vow to close the country to migrants. And in Calais, France, stories have emerged of police dousing migrants’ sleeping bags in tear gas so as to make them unusable. Anna Feigenbaum refers to this phenomenon as “atmospheric governance,” whereby the atmosphere itself becomes a militarized measurement on which life or death can rest. 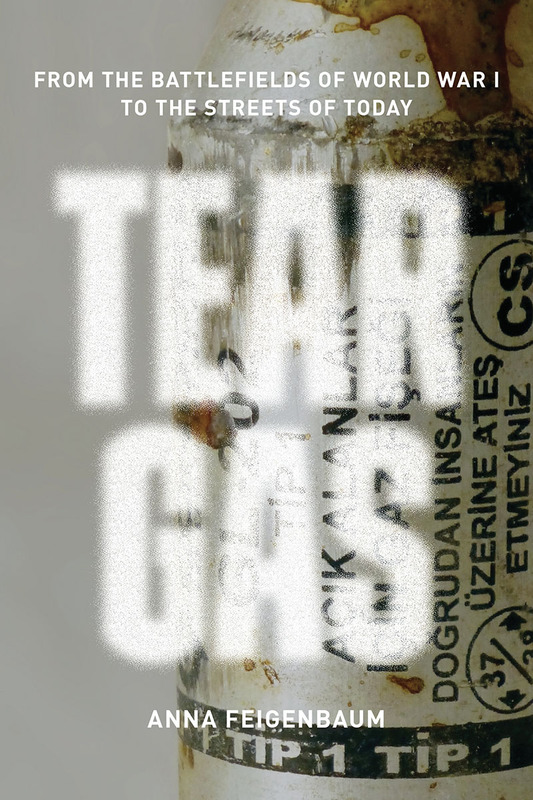 Her book Tear Gas: From the Battlefields of World War I to the Streets of Today has quickly emerged as an essential text on the political economy of so-called nonlethal weapons. In the wake of this most recent incident in Tijuana, I spoke with Dr. Feigenbaum about airborne politics, the use of tear gas as border control, and what resistance to nonlethal weapons looks like. Why is atmospheric governance a useful frame through which to think about border control? When Anja Kanngieser and I wrote about atmospheric governance, we wanted a way to describe what kinds of technologies and techniques are used for controlling populations that work with the air, or more specifically, technologies that require air for their transmission and dispersion. It’s really important to think about borders as four-dimensional spaces, not just territorial land-based spaces, but also as atmospheric spaces. When we control space, we are not only securing land. We’re also securing and controlling the air. Control can be exhibited atmospherically, as well as through the “hard” material objects that we more conventionally think of as a part of border control infrastructures, such as walls, check points, or fences. Tear gas and other kinds of crowd control weapons, like sound grenades and LRADs, work on this atmospheric level to perform acts of control. Peter Sloterjidk calls this “terror from the air.” He argues that this air-based violence causes both physical and psychological trauma. Crowd control weapons invoke physical terror in that they are designed to make the body as intolerably uncomfortable and to suffer as much possible without killing it. Not only do they cause the signature “tearing” in the name, but also nausea, respiratory problems, digestive problems and asphyxiation. They force people to give up their task of border crossing. Psychologically, these weapons were intentionally designed to destroy collective spirit. Research has shown that over time people who are exposed to these weapons are at a high risk of developing PTSD. This in turn creates an ongoing deterrent by instilling an embodied sense of fear of an encounter with the space where the gas might again be. For children, tear gas is especially harmful because their lungs are smaller, and because they have fewer tools to process the trauma. 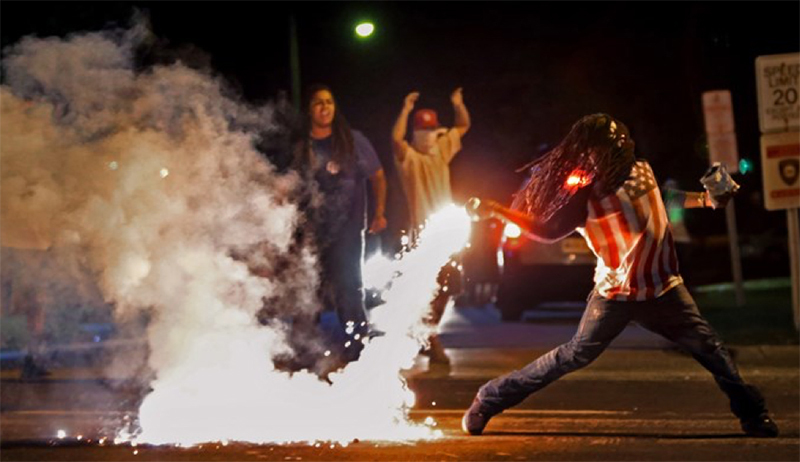 What it is about tear gas that makes us think its non-lethal? It’s possible to claim that tear gas is nonlethal or even less-lethal because it’s ability to kill is measured on its dosage, in the same way we might think of a dosage of a drug. The way that tear gas is measured is the amount of toxicity per square meter, or how toxic it is in a particular space. And the amount of the toxin that you need to kill in laboratory studies, usually done on animals, is very high compared to the dose that is recommended for its use on civilians in open space. However, this measurement, like any clinical measurement or dosage recommendation, is not always followed. We see injuries and even deaths when too much of the toxin is used in either too small of a space or a highly confined space, such as a car, a bedroom, or where there are gates or barricades that block the path to fleeing as we would see in a border zone. When people are trapped in a confined space, the toxins linger, and we can think of it like the dose is building up. It’s unable to disperse so it aggregates. Children, the elderly, and anyone with preexisting respiratory conditions are also going to be more susceptible. The other thing that often gets ignored in media or government commentary on the safety of these weapons is that many injuries and deaths come from being hit with the cannisters and grenades that deliver the toxins. If these cannisters and grenades are shot from guns at high velocity, and if they hit someone directly, they can cause concussions, internal bleeding, lost eyes, broken bones, and death. We know about handkerchief remedies and tactics for immediate resilience to the effects of tear gas. Are there larger shared strategies for resisting the abuse of these weapons? One thing that we are working to do through a project called #RIOTID is to help people identify, monitor and record the use of riot control against civilians. We call this approach “civic forensics,” meaning that we are taking the claims of forensic analysis that are usually left to authorities, such as understanding the scene of a crime, and we try to empower civilians to witness and document abuses against them. This is to ensure that it is not only authorities that are able to tell the story of what happened on the ground. In practical terms, this means learning how to identify what weapons are being used, who’s manufacturing them, and how the ways that they are being used can cause increased harm and risk. We do this through training people to photograph and video weapons safely, securely, and with the precision needed for creating humanitarian evidence. Informed by the Forensic Architecture project, #RIOTID helps empower people to read such video footage from a civic forensic perspective to enable us to gather evidence and hold governments and manufacturers involved in “use of force” violations accountable. For example, journalists have identified the use of Safariland Defense Technology products on the Mexico border in the recent incident in which children were hit with tear gas. In exposing Defense Technology, which is a Safariland company whose CEO is Warren Kanders, we have now seen exposés on Kanders’ links to the Whitney Museum and the ways in which his repression and profiteering is “art washed” by his board membership. Kanders is also the executive chairman of prominent outdoor brands Black Diamond and Sierra. It is crucial that we make these corporate connections in order to identify further points for campaign intervention, such as calling for Kanders to step down from the board at the Whitney Museum, and boycotting Black Diamond and Sierra equipment. Anna Feigenbaum is co-author of the books Tear Gas: From the Battlefields of World War I to the Streets of Today and Protest Camps, and her work has appeared in Vice, The Atlantic, Al Jazeera America, The Guardian, Salon, Financial Times, Open Democracy, New Internationalist, and Waging Nonviolence. She is a Senior Lecturer in the Faculty of Media and Communication at Bournemouth University. Her website is www.annafeigenbaum.com. Follow her on Twitter: @drfigtree. Aria Alamalhodaei is an independent writer and researcher based on the south coast of England. Follow her on twitter @breadfrom.